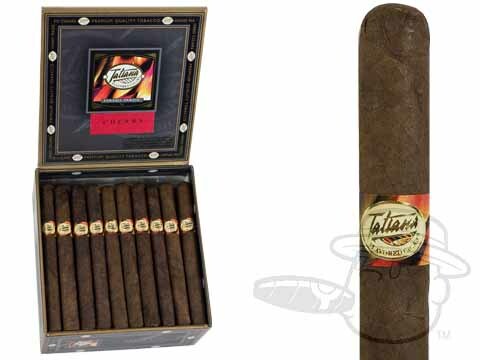 Tatiana Dolce Cherry brings the sweet essence of fresh cherries to a traditional 5x30 Petite Corona vitola. I tried a box of these at the suggestion of a friend. I found that flavored cigars just are not my cup of tea. They were well constructed, burned and drew fine, but just not to my personal liking. I'll stick to my unflavored maduros from now on. Tatiana Dolce Cherry is rated 4 out of 5 based on 1 customer ratings.